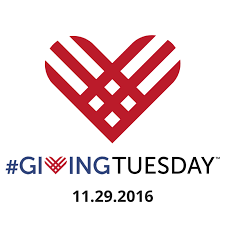 This year, on Tuesday, November 29, 2016, Helping Women Period is participating in #GivingTuesday, a global day dedicated to giving. Last year, more than 45,000 organizations in 71 countries came together to celebrate #GivingTuesday. Since its founding in 2012, #GivingTuesday has inspired giving around the world, resulting in greater donations, volunteer hours, and activities that bring about real change in communities. We invite you to join the movement and to help get out and give this November 29. How Can You Support HWP & Giving Tuesday? It’s as easy and close as your front porch. Just leave your product donation (in a plastic bag if the weather looks nasty) or financial donation on your front porch. Amy and Lysne will come around and pick it up! Just fill out this form and we’ll do the rest! If you know of others who may be interested, either share this blog or send them a link to our Giving Tuesday | Helping Women Period Facebook event.